A taxonomic study of Red Sea and Western Indian Ocean calcareous sponges has led to the recognition of 16 species new to science. Three of those have now been named in honor of LMU researchers. In a comprehensive study of the taxonomy of calcareous sponges (Calcarea) found in the Red Sea and the Indian Ocean, scientists at the Naturalis Biodiversity Center in Leiden (Netherlands) have named three previously undescribed species after geobiologists based at LMU. 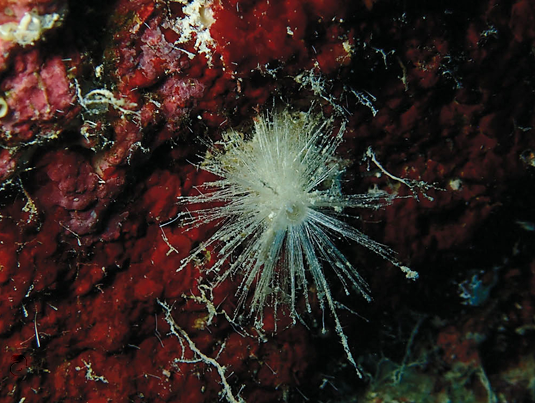 The authors of the new study systematically examined a collection of 145 sponge specimens housed in the Naturalis Center and describe 45 species in all, which were assigned in almost equal numbers to the calcarean subclasses Calcinea and Calcaronea. Most of the material had been collected from sites in the Red Sea and in the vicinity of several islands in the Western Indian Ocean. Of the 45 species identified, 16 turned out to be new to science. Now three of these – Grantessa woerheidei, Paraleucilla erpenbecki and Borojevia voigti – have been formally named after leading members of the research group led by Professor Gert Wörheide in the Palaeontology and Geobiology Section of the Department of Earth and Environmental Sciences at LMU. According to the authors of the study, Wörheide is honored in this way in recognition of “his significant contributions to the systematics of calcareous sponges”. The choice of formal names for newly recognized biological species must conform to a strict set of rules. New species names may only be proposed by the scientists who provided the first taxonomic description of the type specimen concerned. New species are often named after the sites in which they were first discovered, or for some specific feature of their morphology, but they may also be named after individuals. Professor Wörheide and his colleagues PD Dr. Dirk Erpenbeck and PD Dr. Oliver Voigt have now received this distinction for the first time.